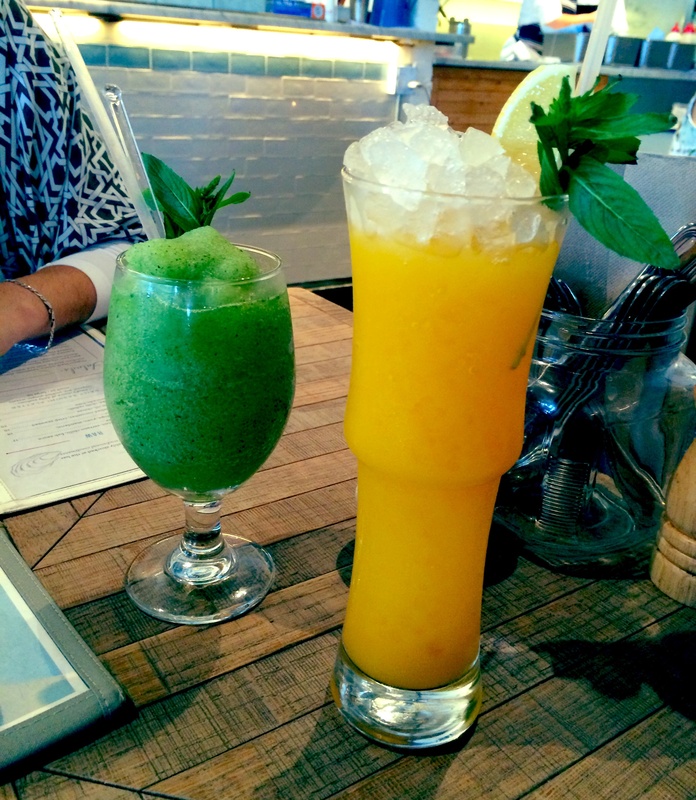 My last post was all about drinking food which segues nicely into the topic of drinking itself. I adore cocktails. Literally love ‘em. It was quite convenient when I worked for a hospitality company that owned a dozen cocktail bars because drinking was technically work. Now it falls squarely back into the self-funded leisure category but that hasn’t dampened my spirits in the slightest. It’s impossible to highlight all my cocktail shenanigans because there have been so very many. Plus I’m not always in a lucid enough state to remember them all. Thank god for iphones. 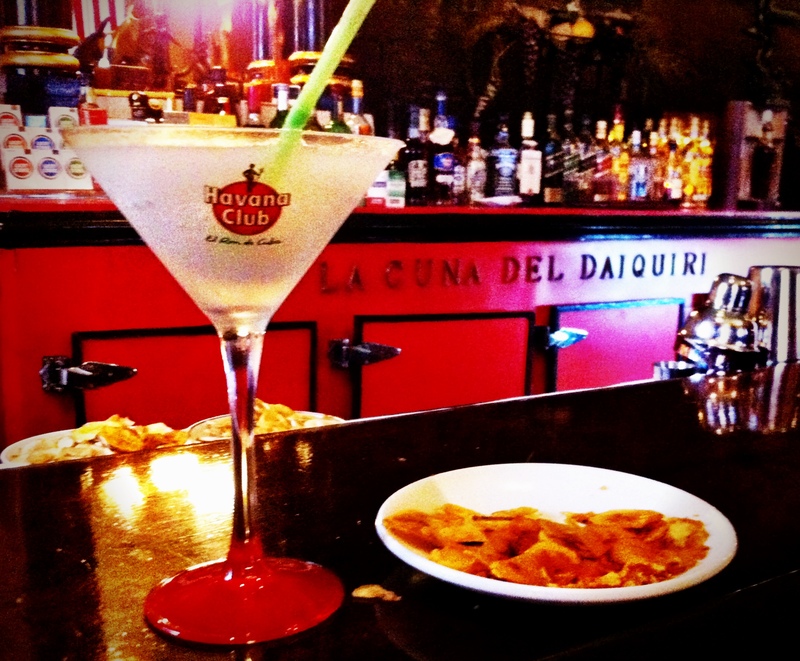 Possibly my greatest cocktail memory ever happened in Havana two years ago. After a painful 35 hour journey involving three stop overs and very little sleep, I arrived in Havana on a Saturday evening. En route to my hotel I spotted ‘El Floridita’ out of the corner of my eye and knew instantly my impending plans to sleep would be shafted. noted the famous alcoholic, I mean author, Ernest Hemingway and who was I to argue? My new friend Lena and I got comfy at the bar and ended up spending hours there. 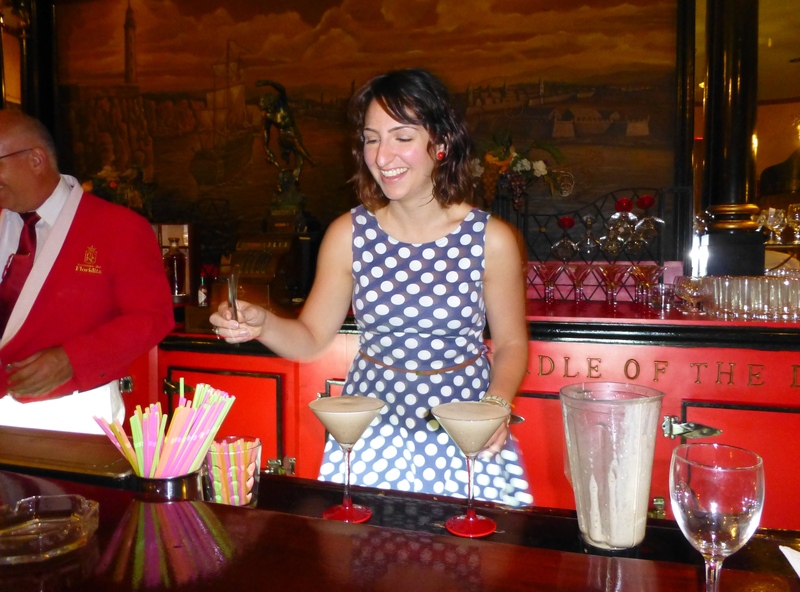 The daiquiris were sensational – did I mention this is where they were invented? The signature Floridita Daiquiri blends crushed ice, sugar, rum, lime and maraschino liqueur and the result is an intense frothy delight. They’re served with a bottomless plate of highly addictive plantain chips which create the perfect ballast to support all that rum. 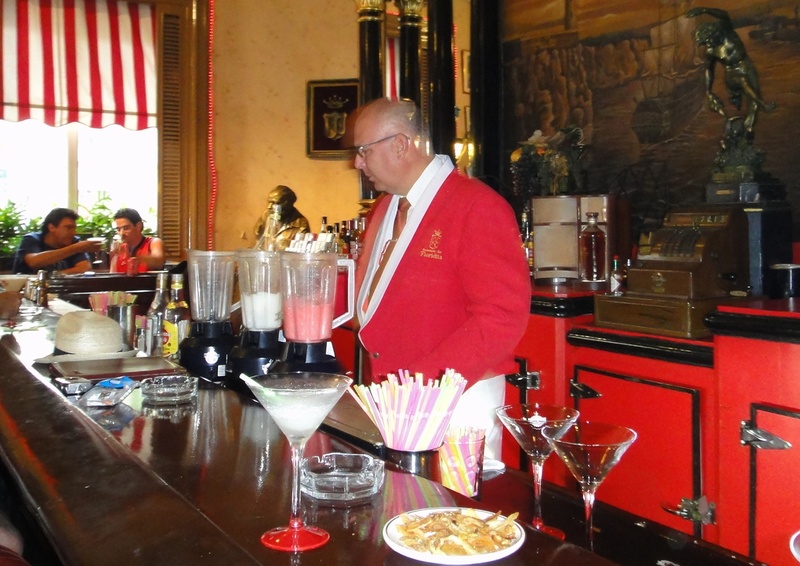 That’s me – mixing daiquiris with the professionals! 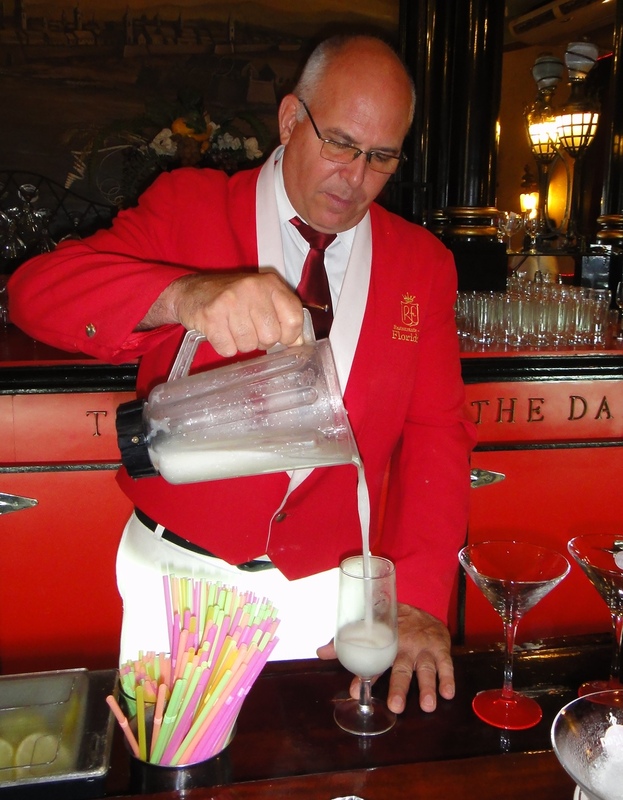 We became friends with the bartender Abel (old enough to my grandfather) and he invited me to come behind the bar for a personal daiquiri tutorial. This was a pinch me moment that has never been beaten. And neither has my personal record for the number of daiquiris I drank that night. Drinking the local alcoholic beverage is not just polite, it’s a sure fire way to ingratiate yourself in that culture. That means daiquiris in Cuba and sangria in Spain. 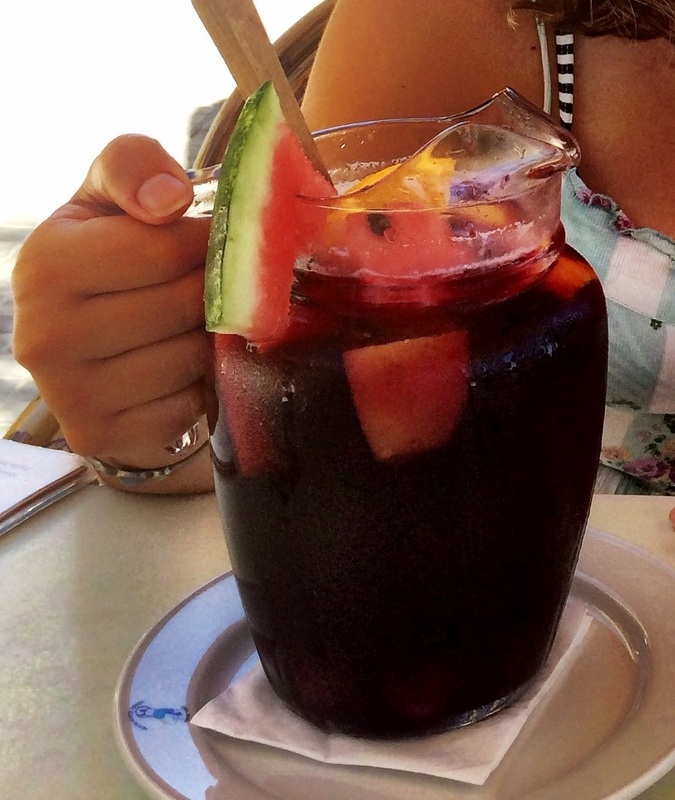 Ahhhh, sangria. Yes, I know it’s a tourist trap. Yes, I know they’re not using the highest grade plonk. But it tastes good, especially on a hot day and it’s perfect for sharing. 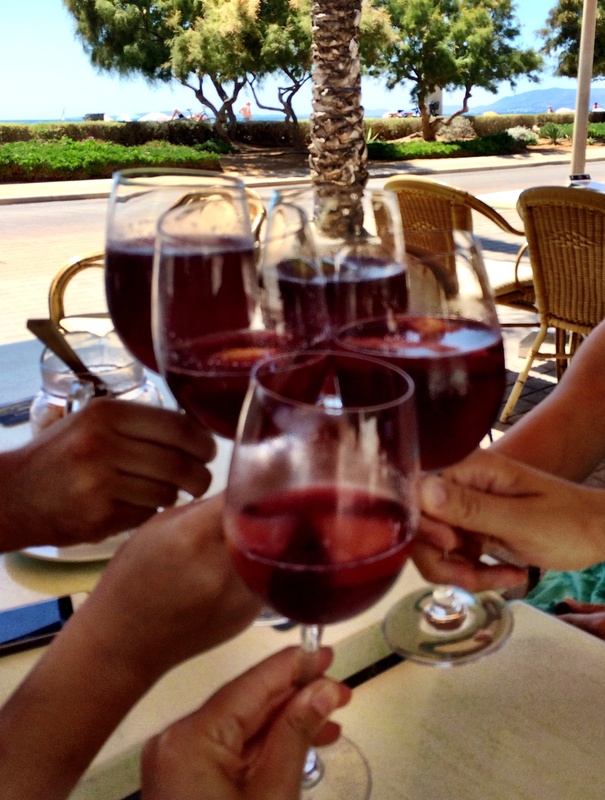 Perhaps it was more the company and the moment that I savoured that day in Palma de Mallorca, but it all washed down rather well with a few pitchers of cava sangria. Speaking of drinks in pitchers, that brings me neatly to that classic British summer drink. I’m not the first person to rave about Pimms & lemonade and I won’t be the last. But if ever there was a taste of English summer, this would be it. The combination of Pimms, lemonade, mint, sliced orange and strawberries is intoxicating and reminiscent of festivals and lazy weekend afternoons. 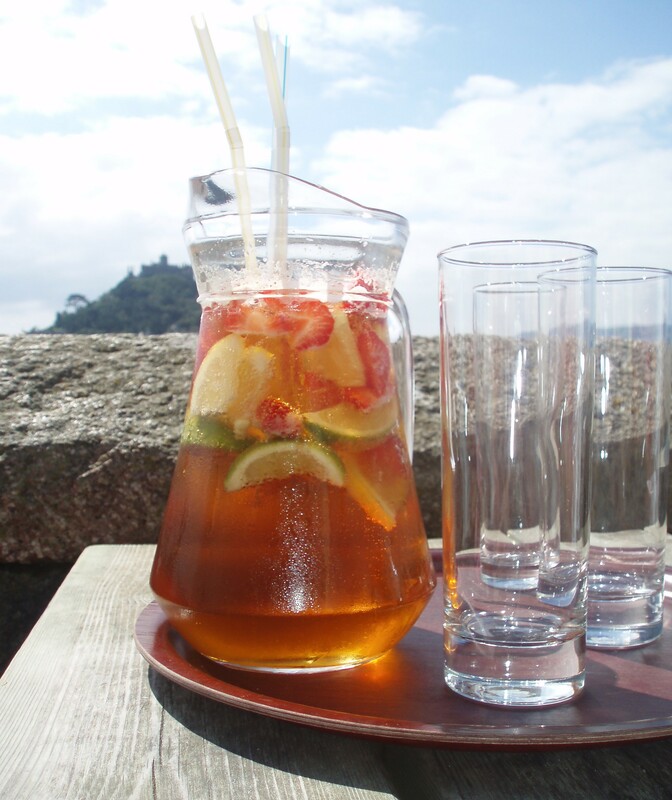 This particular jug of Pimms was imbibed with Katia and Amy in Cornwall, right beside St Michael’s Mount. We drank as the sun came down, the tide went up and dozens of people had no choice but to wade back to the mainland in shoulder high water. Speaking of bars with a view, I have a pretty good contender a stone’s throw from me. Coogee Pavilion has breathed new life into my seaside suburb and the cocktails play a big part in this. I’m particularly obsessed with the Cravado. Vodka, lychee, coconut water, lime and mint are blitzed together and the result could easily pass for a double wheatgrass shot. Hardly sinful at all, is it? Have you heard of the amazing world famous Chocolate-rimmed strawberry daiquiris at Feather Boa in HK. They’re so large, I could barely finish 2!! They sound amazing! I wish I knew about them when I was in HK last year. World famous? They’re OK. Though you need to wear dark clothing because you invariably come out at the end of the night covered in chocolate from the all the other ones surrounding you. You’d love the decor, less so the woman who runs the place. Remember Seinfeld’s Soup Nazi? Cut from the same cloth. Gordon you’ll have to take me next time!